May Stands Still is a band that showcases the talent of Emily Herndon along with Asha Sukumar. With the new album of When You Come Home, the two have done a great job of creating music that will grab you and never let you go. The music written for this album is fun to listen to. 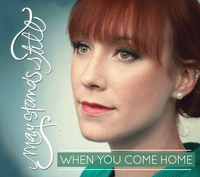 If you like music that crosses from folk to country/bluegrass, the new album of When You Come Home from May Stands Still is just what you’re looking for. Emily Herndon is a rising star in the folk music genre. With the beauty contained within her voice, Herndon may remind you slightly of either Norah Jones or Sarah McLachlan or even another relative newcomer to folk music, Annie Crane. Along with Asha Sukumar who adds violin, mandolin and vocals, Herndon creates music under the moniker of May Stands Still. May Stands Still create music that stays true to the music of the artists that have come before them. While there was an EP released a little while ago, May Stands Still is now promoting the new full-length album entitled When You Come Home. When You Come Home begins with the track “Gotta See”. “Gotta See” is a song that brings to mind the music and songwriting style of Simon and Garfunkel. You can almost hear the style of the duo as you take a listen to this song. 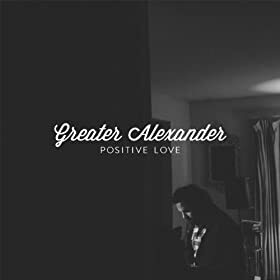 Taking piano and combining it with the ever-present guitar creates a slightly different take on the music on the album. It is on the second song of the release, “Wild 1,” that the light piano feeling plays well off of the easy pace of the guitar. The combination of the piano and the guitar along with the bass, drums and mandolin creates a song that slows the pace of the music down just a bit. The light vocals of Emily Herdon along with the rest of the instrumentation on this track give the listener one of the best tracks on the new album from May Stands Still. While the electric guitar shows up on a lot of When You Come Home, the instrument becomes a little prominent in the song “I Want You”. The guitar gives the background of the song a stronger feel than most of the rest of the album. One of the best tracks on the new album is the song “New Groove”. The song will immediately take hold of your attention with its strong beat. The beat, the strings, bassline and many other elements come together to create beautiful that goes perfectly with Herndon’s beautiful vocals on this track. With everything coming together perfectly on this song, you end getting one of the strongest tracks on the entire song. The music shifts from one part of the song to the next and helps to keep the listener entertained throughout the nearly four minutes of music. With the song “Sleep Alone,” Emily Herndon approaches the song as if it was created by a singer-songwriter with little more than the guitar for the first half of the song. The lyrics feature the singer coming to grips with what her heart is feeling in a new relationship. When the rest of the instruments (which include strings) come in, the song takes on a more orchestral feel. The song has more emotion in it than most of the other songs on the album. The song “Raina” features a very strong bluegrass feel to it. It also has a strong beat to the music. The song is one of the most infectious of the songs on When You Come Home. It is the bass that makes the song so much fun to listen to as the bassline is very bouncy and the clapping of the hands gives the song just a little more fun to the music. When You Come Home winds down with the song “Falling”. This song contains lyrics that once again bring to mind those of Sarah McLachlan. The strings on the track really bring a lot of beauty to the ending portion of the album. “Blue June” brings the new album When You Come Home from May Stands Still to a close with a song that sounds a lot like something from Alison Krauss and Union Station. The pace slows down and the guitar takes the lead for a few bars before the rest of the instruments come in to fill out the sound of the music. When You Come Home from May Stands Still is due to be released on November 1, 2012. Until then, you can check out some of the music from May Stands Still by going to the band’s website. While the album of When You Come Home by May Stands Still won’t come out until November 1, 2012, here is Emily Herndon performing “Falling,” one of the songs off that release.